Our Traditional Silk Sarees Collection brings in cultures from all over India, having to offer silks sarees of different origins in India. 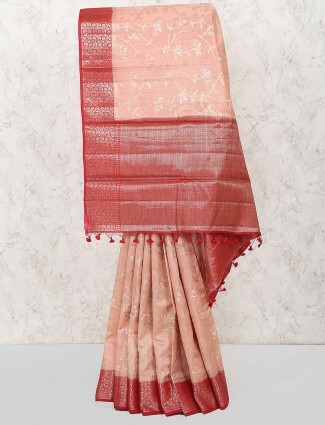 Patola silks sarees, Kanjivaram silk sarees in traditional to modern weave patterns, Banarasi silk sarees collection which is a style of royal weddings. We also hold the sober silk sarees and designer silk sarees collection in hand embroidered patterns to styles of blended brocades. 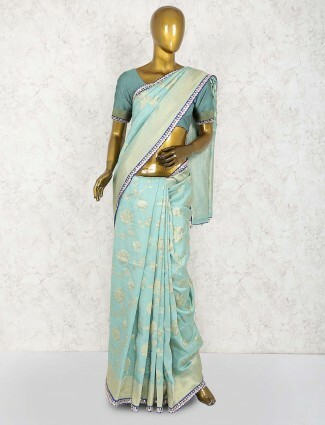 G3fashion.com silk sarees are not just for heavy weddings and parties, but you can find some for formal or casual day occasions too. 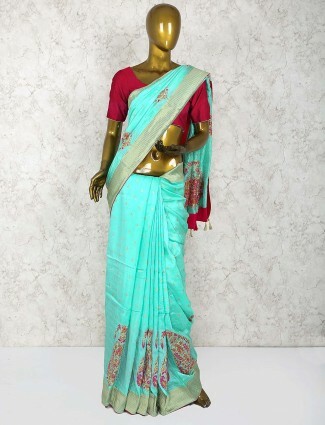 Figure print silk sarees and to stylish designer blouses paired with our silk saree making a new designer saree set is all customised at g3+ for our stylish buyers. 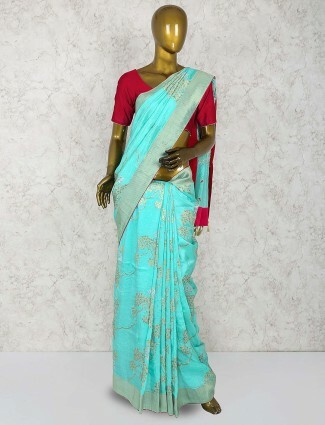 Silk sarees online shopping at G3fashion.com is the perfect place to rely on to get latest trends and fashionable silk sarees for all women. Carrying a silk saree only for weddings was an old thing, now a days women love to carry a silk saree in pure weaves to semi silk sarees which are low range and affordable as well. 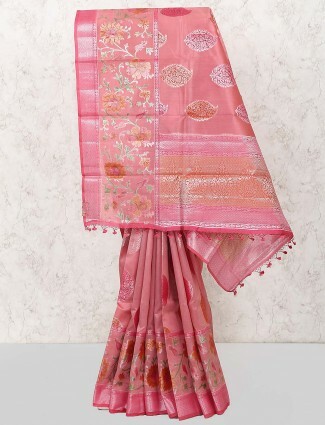 When you browse across G3fashion silk sarees collection you will find silk sarees with price of your choice which will make it easier for you to shop as per your budget preference and some more filters of silk fabric kinds to colors. 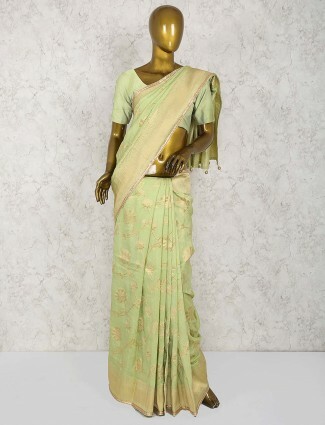 South India silk sarees are the kinds which are most appreciated by women to style for formal occasions to wedding wear and as bridal sarees. 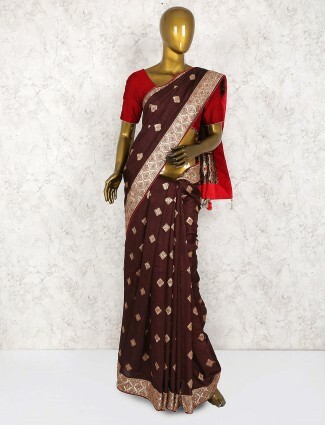 South Indian bridal sarees are very much in demand these days considering its charm of traditional Indian wear glam to elegant designer wear for brides. 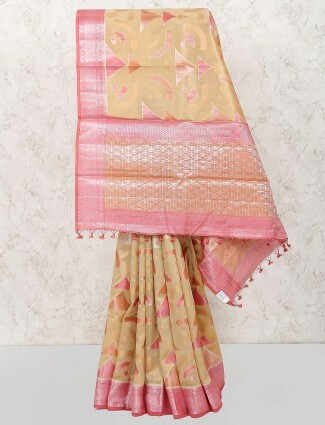 Kanjeevaram silk sarees online shopping at G3fashion.com will give you a variety of weave patterns to colors which are not only in two tones but are in multi weave patterns in semi weaves to pure silk saree categories. 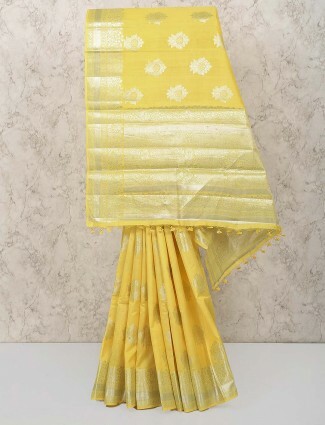 Another famous silk saree is the banarasi silk saree, which is also considered to be one of the heaviest sarees in silk weaves and costs higher in terms of price rather than compared to other silk sarees like Muga Silk sarees, Raw silk sarees, Bahaglpuri silk sarees that are a very festive and look gorgeous as modern silk weaves. Bollywood actresses like Rekha, Vidya Balan have always carried silk sarees at events or parties. 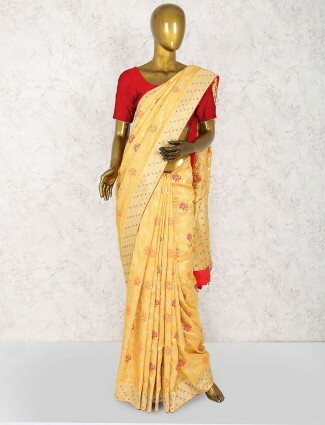 Such Banarasi silk sarees online shopping is available with G3+ in more variations and also get matching silk blouses which you can buy from us to make your own saree statement. 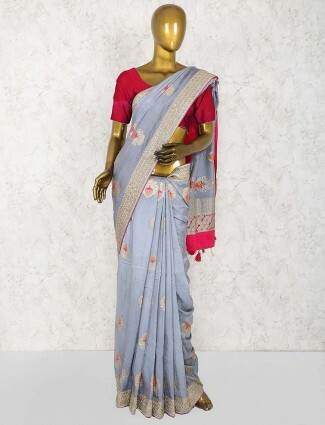 Silk sarees for weddings can also be modern and contemporary styles like Patola silk sarees which are a weave originating from Gujarat and are now most trending silks saree weave styles which are popular with designers making new fashion looks like Ayush Kejriwal. 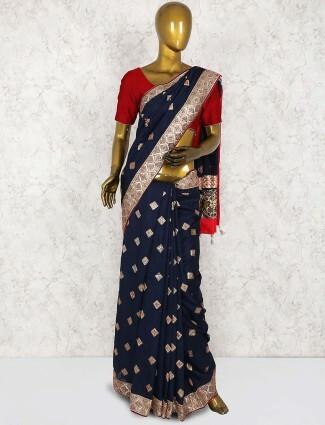 At g3fashion.com you can find similar silk saree designer wear concepts like Ayush Kejriwal silk sarees, Gaurang Shah silk sarees, to Lovely modern prints on silk sarees just like Masaba. 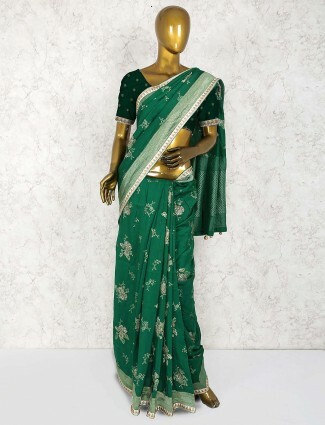 Today not only Silk sarees are bought by women for weddings but also worn for their festive charm to party glam. We recently saw Priyanka Chopra in silk sarees at Anushka Sharma & Virat’s Mumbai reception party, Kangana ranaut styling plain silk sarees in chanderi silk to cotton silks and pure silk sarees at promos too. Apart from Bollywood, we have seen other celebrities and all age women and young girls switch to silk sarees. 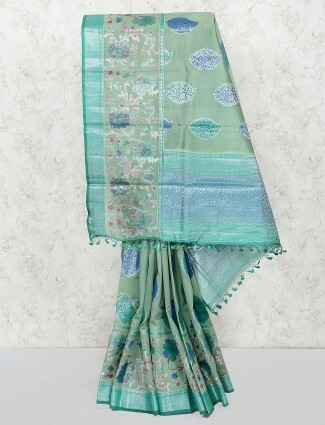 Shop for your favorite silk sarees online with different choices from blends to prints and weaves. 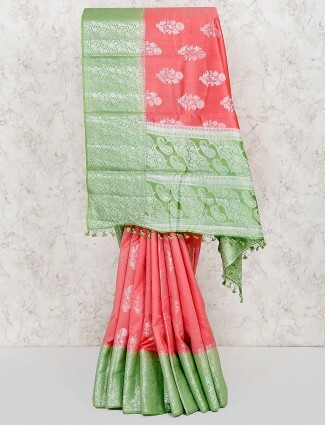 We have also seen south silk sarees for formal wear like office wear to formal parties which are in prints or checks patterns to stripes. The blue prints and batik prints are also highly in trend for women to style their office wear look with right blouse designs to match their silk sarees. 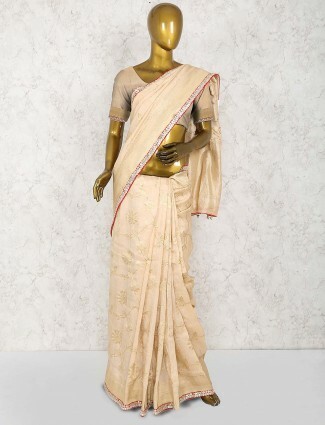 The silk sarees with silk blouses are also in and can be styled in so many ways as mix and match too. 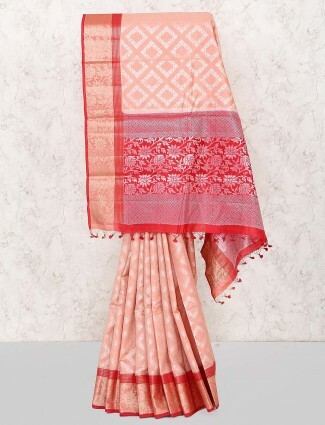 Get an embroidered silk saree with zari, zardosi, diamonds and thread work in motifs of traditional to figure motifs like birds, elephants, deers, bringing out the highlighting element in a saree as a border or saree pallu. 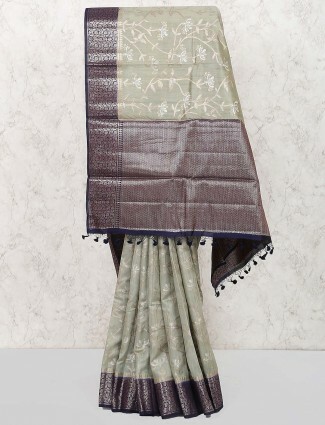 A saree in silk doesn’t always need to be in heavy weave of zari but can also have all over jaal concept of florals all over in jute silk, or kalamkari silk print sarees, tribal print cotton silk sarees are some of the latest modern styles of silk sarees high in demand with G3+ store and website. 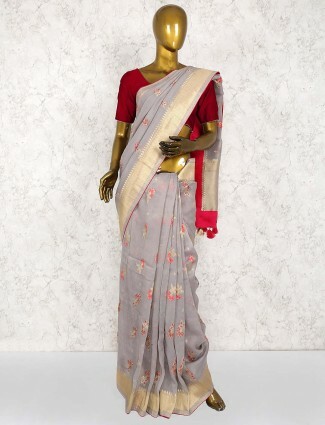 We provide silk sarees online shopping with cash on delivery option to buy easy from anywhere around India and you can get benefits of easy returns too, only with G3fashion.com. Shop from simple plain silk sarees with zari borders in budget range too heavy silk sarees for brides or wedding occasions which will be from our latest collection of silk sarees added every day. Silk sarees are an evergreen fashion of Indian fashion and now meant as an essential must have saree type for all Indian closets.